He claimed hearing loss after just two months on the job: What did a court think? 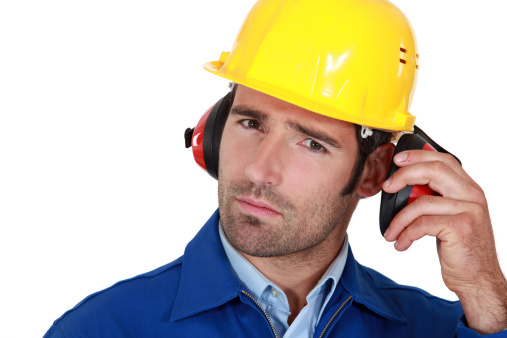 This employee suffered hearing loss because of years of working around loud equipment. He worked just two months for his last employer, then filed a workers’ comp claim for hearing damage. Did he receive benefits? Jimmy Hensley worked for D&L Mining Co. LLC in Kentucky as a heavy equipment operator. Hensley did this sort of work for 32 years. He worked for D&L in November and December 2014. He filed a workers’ comp claim on Dec. 18, 2014 for hearing loss due to repetitive exposure to hazardous workplace noise. A report from a hearing care center in March 2015 diagnosed hearing loss, including tinnitus, and recommended hearing aids. D&L denied the claim. Hensley’s case went before an administrative law judge (ALJ). It turns out Hensley was tested previously for hearing loss in 2013, before he worked for D&L. A report dated December 2013 noted Hensley had been a coal miner for 30 years and recommended hearing aids. Hensley denied receiving a copy of the report. An audiologist examined Hensley at the request of the Kentucky Division of Workers’ Compensation. In a report dated September 2015, the audiologist diagnosed hearing loss compatible with long-term exposure to hazardous occupational noise. She recommended hearing aids and imposed restrictions of wearing hearing protection devices when exposed to loud noise. Another audiologist conducted an independent exam of Hensley at D&L’s request. Her report included comparison of Hensley’s audiograms from 2013 and 2015. This audiologist confirmed Hensley’s occupational hearing loss and added that he had sustained no additional hearing loss due to his 2014 employment at D&L. Hensley testified he was exposed to constant loud noise at D&L due to the operation of heavy equipment. He said he didn’t wear hearing protection, nor was he required to do so, because he needed to be able to hear other employees and equipment to safely perform his work duties. The ALJ found Hensley had suffered hearing loss compatible with long-term exposure to hazardous occupational noise, similar to his exposure at D&L. The ALJ awarded permanent partial disability (PPD) benefits for a 17% whole person impairment rating. Benefits were enhanced by a multiplier of three because the ALJ found Hensley was unable to return to work because wearing medically recommended hearing protection would create safety issues for himself and others. The ALJ held D&L, the last employer of record, exclusively liable for benefits, as required by Kentucky law. The Kentucky Workers’ Compensation Board affirmed the ALJ’s decision. D&L appealed to a state court. D&L said the ALJ shouldn’t have awarded Hensley PPD benefits when he had the same level of hearing loss before his employment with D&L. It also fought the three multiplier because Hensley couldn’t return to the same type of work. 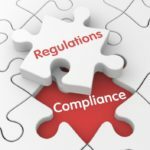 The appeals court noted there’s no need for the employee to show the last employment caused a measurable hearing loss, nor is the employee required to show a minimum period of exposure. Therefore, the ALJ’s decision was correct, according to the appeals court. D&L argued Hensley wasn’t entitled to the three multiplier because he could perform the essential functions of his customary work. Hensley said he wasn’t able to wear protective hearing devices while operating equipment at D&L or in similar work because doing so created an unreasonable risk of harm. Again, D&L didn’t rebut this point, therefore the appeals court said there was no reason to overturn it. The appeals court upheld the award of PPD workers’ comp benefits to Hensley along with the three-times multiplier. OSHA’s hearing conservation regulation requires employers to monitor noise exposure levels to identify employees exposed at or above 85 decibels (dB) averaged over 8 working hours, or an 8-hour time-weighted average (TWA). Employers must monitor all employees whose noise exposure is equivalent to or greater than a noise exposure received in 8 hours where the noise level is constantly 85 dB. The exposure measurement must include all continuous, intermittent, and impulsive noise within an 80 dB to 130 dB range and must be taken during a typical work situation. Employers should also conduct baseline hearing audiograms for employees before they are exposed to occupational noise. This is like a game of Hot Potato. The last company to employ this guy is going to get hit with 30+ years of bad habits. The OSHA Hearing Standard has been in place since 1981. For the entire length of his career he chose not to follow it, and chose to work at companies which didn’t make him follow it. It seems disingenuous to claim it as an injury from less than 2 months work. It seems like a poorly worded law which allowed this to stand. It is clear that the OSHA regs apply and citations should be issued relative to hearing conservation. However the KY WC law call for injurious exposure. The hearing tests clearly show that there was no injury while working for DL. What I think is the appropriate venue is civil court suing previous employers if the statute of limitations does not prevent. Hearing loss is one of the areas that is a real touchy area since there are so many places and ways to get hearing loss that are not work related. Stop at a stop light and feel your car shake from the boom box in the car next to you. That driver may have hearing protection at work but he will have hearing loss and some poor employer will get screwed. How does a person reason that wearing hearing protection is hazardous, but the consequences of hearing loss is somehow acceptable? Either way you are going to have a hard time hearing your coworkers? I’ve come across this same excuse a lot. That machine operators need to hear co-workers or any odd noises coming from their machine and can’t wear HPD. There are HPD alternatives available that electronically filter out loud dB noise but allow quieter sounds to be easily heard. They can be expensive however, but definitely MUCH cheaper than a claim for hearing loss.